You can't expect to have a successful website without a powerful hosting. However, it is not always true that only expensive hosting is powerful. You can, of course, find a hosting that is powerful yet cheap if you do good research. 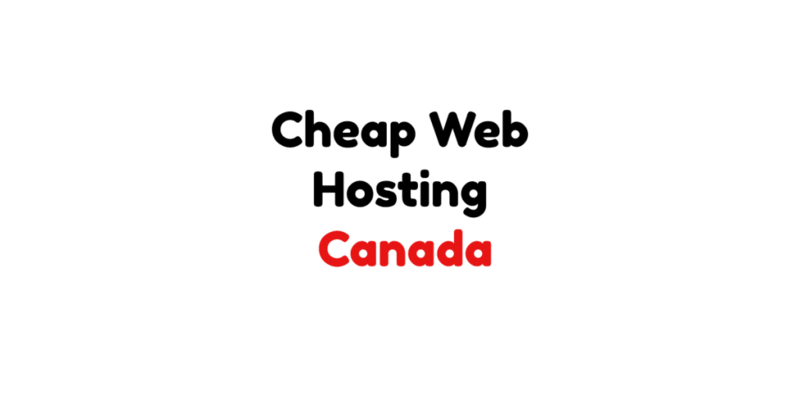 Here is the list of Cheap Web Hosting Canada For 2019. GreenGeeks is certainly one of a kind hosting Company. It has brought about a huge difference by its exceptional innovation in hosting that comprises brilliant speed technology, excellent security and of course, astounding customer support. Considering the GreenGeeks' Pricing, it certainly is one of the best options for those of you looking for a cheap website hosting, Canada. Now, let's get straight to the features. It takes just a second for a website to fall a prey to an online threat. With GreenGeeks, you can always rest assured of the most advanced security with custom security rules, Zero Day vulnerability fixes, Container technology, account isolation, and proactive monitoring. Everyone likes to see one's website grow with times. However, with the growth of traffic, the resources may need to be increased as well and it is ridiculously simple to scale up your web resources as per your need in GreenGeeks. GreenGeeks hosting backs up your website data on a daily basis. Even if you lose your website data due to any technical issue, you can conveniently get your website data rolled back from any of the backup points. GreenGeeks has the most brilliant support team with the right mix of experience and customer handling skills. Customers can easily find the right assistance anytime via phone, chat or tickets. If you are looking for cheap Canadian hosting, you certainly ought to give SiteGround a try. SiteGround offers an excellent combination of security & performance. Over the years, this hosting Company has maintained an outstanding track record. Also, it has one of the best Customer Support. Now, let’s check out its features. 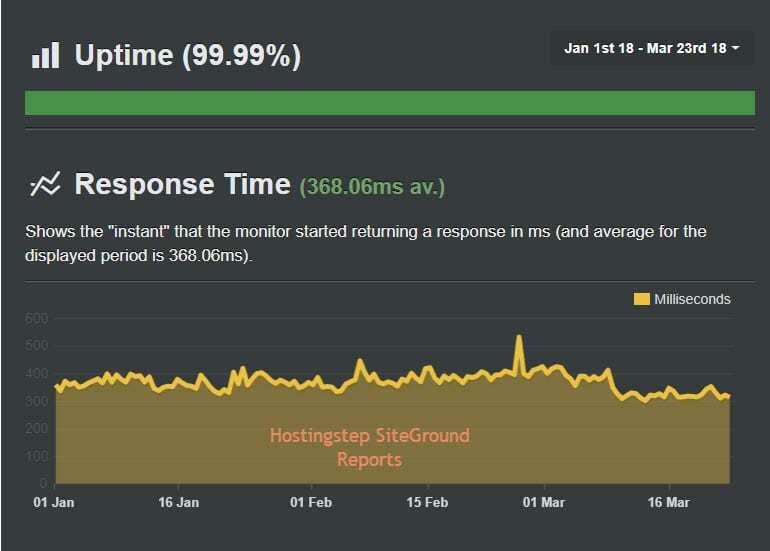 SiteGround offers an unimaginably high page loading speed which is achieved by using the newest speed technologies such as NGINX, HTTP/2, PHP7 and free CDN. Also, it uses SSD Drives for all the hosting plans for more speed. It is important for every website to run at the latest version of CMS, be it WordPress or Joomla else it is bound to affect its performance as well as make it more vulnerable to online threats. In a SiteGround hosting, the CMS is automatically updated to its latest version for the users. With SiteGround hosting, every website has the best security. In fact, the web host has its own firewall security rules to ensure zero vulnerability. Over the years, there has been a stunning increase in the use of SSL certificates by websites. This actually reflects the importance of using SSL certificates for websites. In fact, the users tend to rely more on websites with SSL certificates than websites without SSL certificates. SiteGround offers Free Let's Encrypt SSL certificate with every hosting account. Over the years, SiteGround has largely satisfied its customers with its amazing Customer Service. Users can easily contact the SiteGround Support 24X7. Also, the SiteGround team is pretty quick in responding to the queries or issues. SiteGround Hosting is available in 3 plans; StartUp Plan at $3.95/mo, GrowBig plan at $5.95/mo and GoGeek Plan at $11.95/mo. With A2 Hosting, you have one of the best cheap Canadian hosting options. Also, you can rest assured of the most powerful features for your website with A2 Hosting. Over the years, the hosting Company has greatly proved its excellence in hosting in terms of speed, stability, and security. Now, let's us get to the features. A2 Hosting uses ultra-reliable servers to offer 99.9% Uptime to its users. Also, the server and the network are constantly monitored by the experts to ensure that every single issue is fixed in time. There is absolutely no match to the commitment and confidence of this hosting Company. As a matter of fact, it is the only hosting Company that offers an Anytime Money Back Guarantee. Users can surrender their hosting account and get their money refunded back at any point if at all they are not pleased with the service. A2 Hosting offers a brilliant page loading speed which is, of course, a very SEO friendly factor. Furthermore, Users can get a speed up to 20X using the Turbo Server option. This is certainly a very powerful feature and over the years, this has attracted a lot of users from all over the world. The Guru Crew Support is undoubtedly one of the best Customer Support of the world with knowledgeable and friendly to assist the users with their queries and issues. Most of us are pretty much aware as to how effective SSL certificates can be in winning the confidence of the visitors. This is especially more important for the eCommerce websites and users tend to not make any transactions on a non-SSL website. A2 Hosting offers free Let's Encrypt SSL Certificates with all its plans. A2 Hosting has 3 shared hosting plans; the Lite at $3.92/mo, the Swift at $4.90/mo and the Turbo at $9.31/mo. You can never think of a successful website unless you are 100% sure that it has a tight security, stable uptime, and a brilliant speed. We brought you these 3 hosting options after having tested hosting plans of a lot of hosting companies. You can choose any of these three options. However, we would still suggest you try all the three hosting options mentioned in this post and only then, reach a decision. You can also check our Global Cheap web hosting post.